From the moment author Amy Harmon saw Lough Gill, the lake that figures prominently in this heart-wrenching novel, she felt a deep connection. Her great-grandfather lived in this part of Ireland, and the landscape spoke to her, compelling her to write a story set in his time. But how? She knew little of her family’s history, and Ireland has such a complex, turbulent past. The more she immersed herself in the place and time, the more lost she felt. When I learned this from Amy, I couldn’t help but think that her experience of feeling lost in history echoes that of Anne Gallagher, the main character in What the Wind Knows. 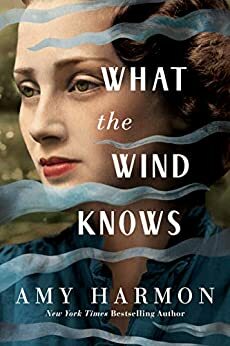 When Anne wakes in Ireland in 1916, she has no idea how she got there or how to get back to her life in twenty-first-century New York. The more she tries to unravel her family’s past, the more entangled she becomes. And when her heart gets caught between two different times, it’s nearly impossible to see her way clear. If she stays, she may alter history. But if she goes, she’ll leave behind those she dearly loves. I won’t say how, but ultimately Anne finds her way. And clearly Amy found her way, too, because she’s written a love story unlike any other, one that truly transcends time and place. Amy Harmon is a New York Times, Wall Street Journal, and USA Today bestselling author of thirteen novels, including From Sand and Ash, and the Whitney Award-winning The Law of Moses. Her historical novels, inspirational romances, and young adult fantasy books are now being published internationally. To find out more about Amy, visit her at www.authoramyharmon.com.